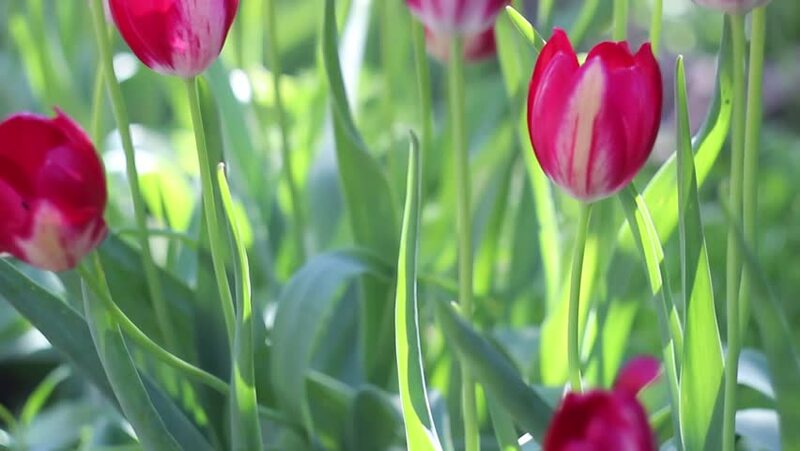 4k00:21Tulips blossomed. Fresh flowers tulips swaying in the wind. A large number of tulips with red buds create a red field. The evening sun beautifully illuminates tulips. Sunny spring evening.